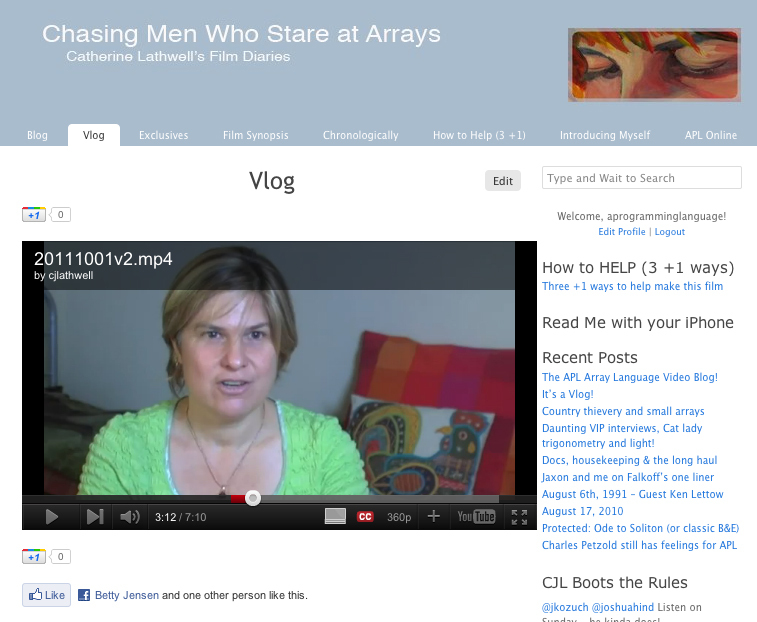 The APL Array Language Video Blog! The second vlog is now up and ready for you to see. It is a special conference edition, that showed live in Boston on Monday, Oct 3, 2011. So, the vlog now has it’s own page, in a Youtube “player” that will also allow you to see past vlogs, should you so desire. Enjoy. Good Day. And thanks so much for watching.